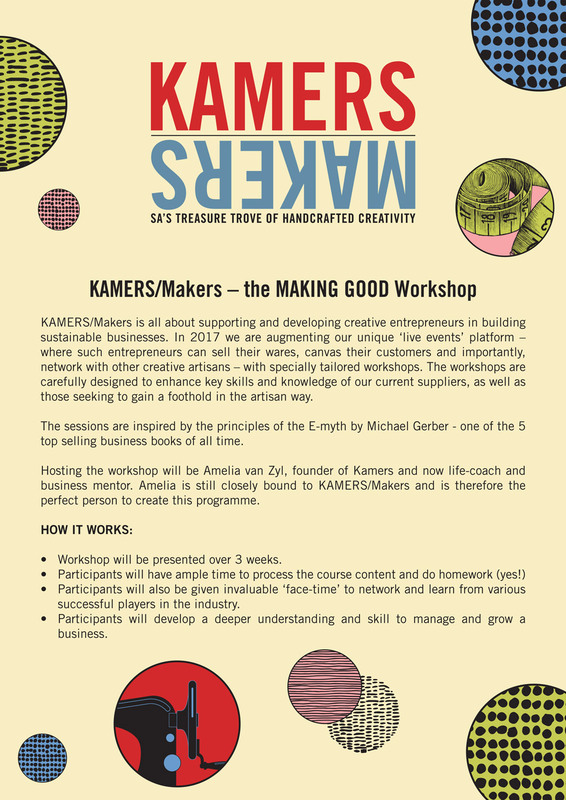 This March, Amelia van Zyl, founder of KAMERS/Makers and now life-coach and business mentor, will be presenting two inspiring workshops centred around our 2017 theme, Making Good. Bookings for Workshop 1 close Friday 10 March. Contact Amelia at 072 224 7674 or encouragegrowth@gmail.com. Hi, will this course be coming to Jhb/Pta any time soon? That would be fantastic, Annelie! If we have enough interest we will be glad to do that. Please contact Amelia at the details above so she has your details.